Have you seen the food documentaries Forks Over Knives and Fat, Sick, & Nearly Dead? 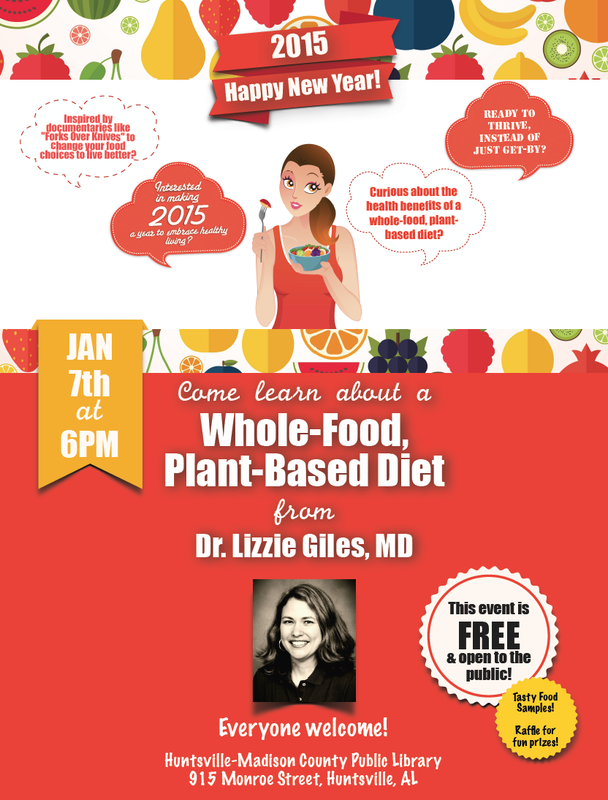 Are you curious to learn how adopting a whole-foods, plant-based diet may help you finally achieve that New Year’s resolution of taking control of your health? Come to a public lecture by Lizzie Giles, MD on Wednesday, January 7th at 6:00PM at the Huntsville-Madison County Public Library downtown. She will discuss the ways in which adopting such a whole-foods diet can help prevent and reverse many common chronic diseases.